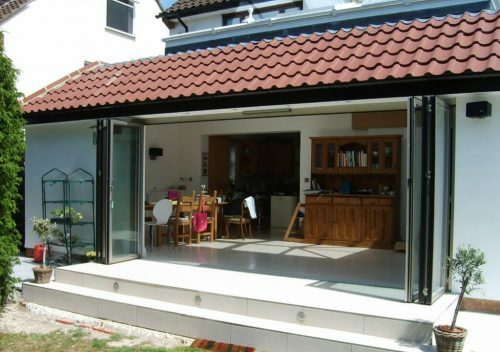 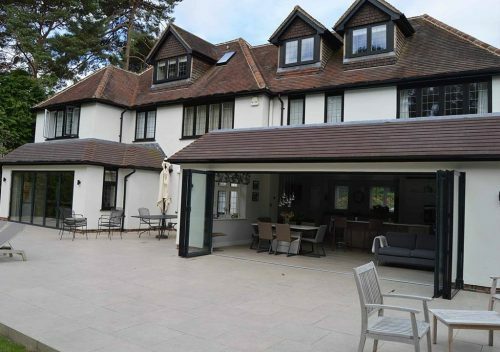 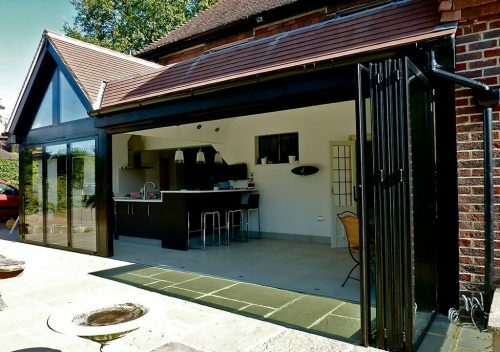 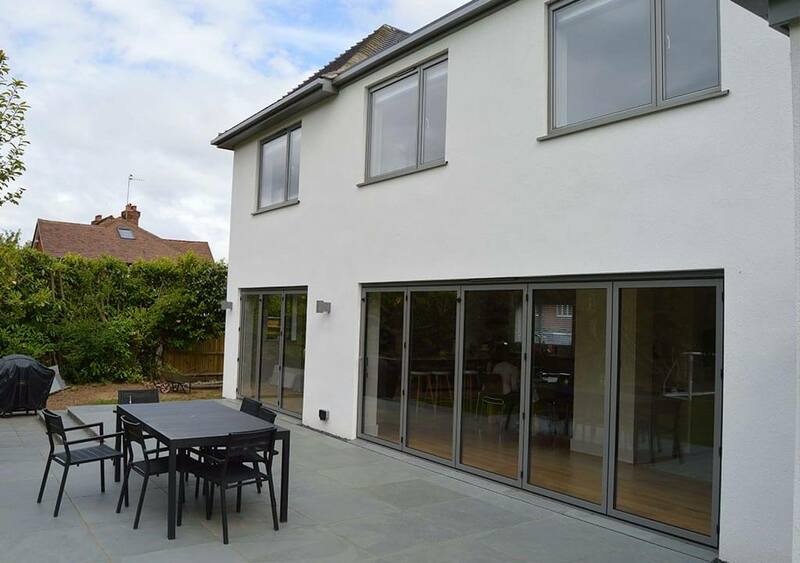 The P & P Glass bifolding door range provides South East England homes and businesses with unique contemporary aesthetics that no other aluminium sliding door system can live up to. Our bifolds slimline and square-edged profile, combined with stunning vertical sightlines of only 115mm (most being 132mm or more) and a frame depth of only 55mm (most are 70mm or more), proactively maximises views and light entering the building. 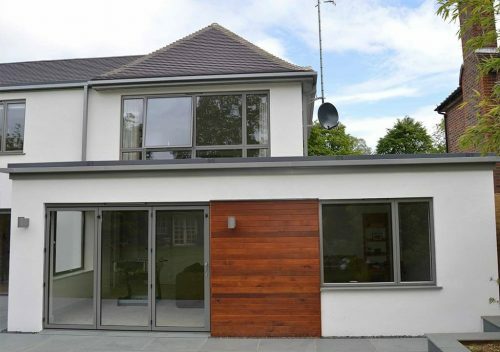 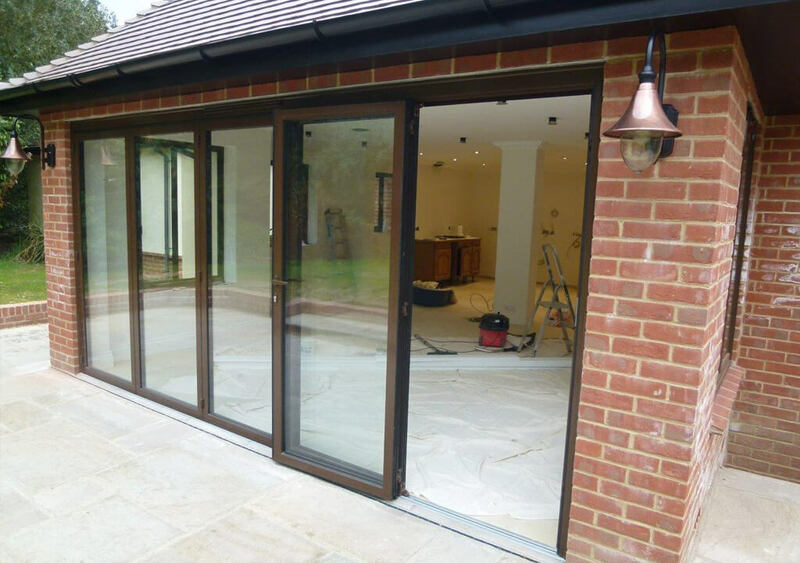 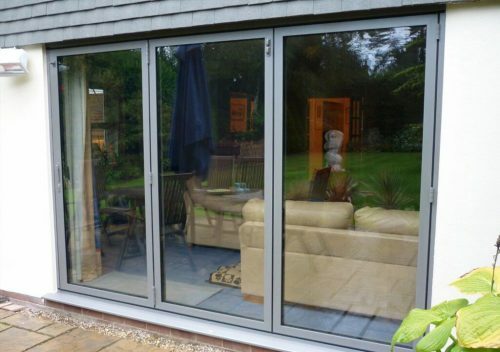 Our bifold frames can be finished in a choice of standard RAL colours (or any special RAL colour for an additional cost), allowing for a smooth transition into any type of Surrey property. 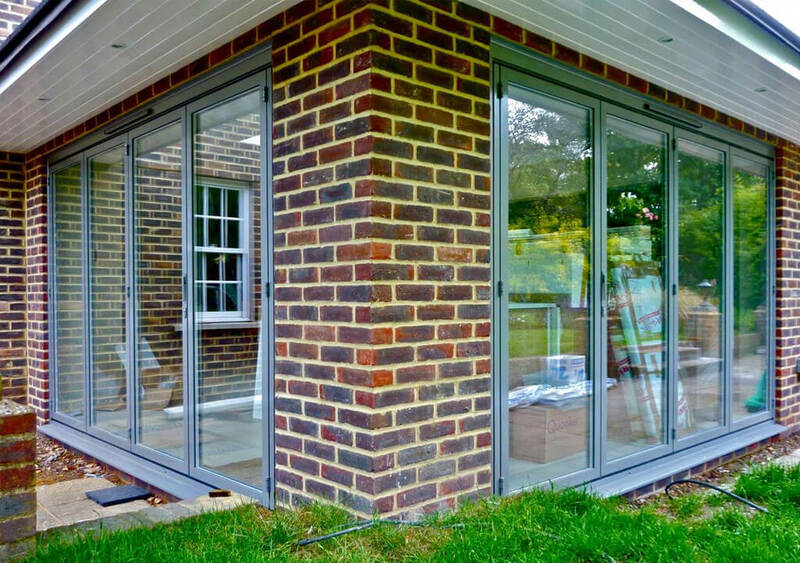 With a wide range of elevational configurations and stacking options to choose from, these beautiful bifolds really will complement any building they’re applied to. 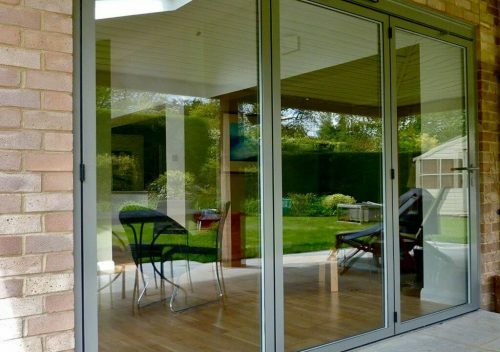 These highly desirable doors not only boast the highest levels of security with multipoint locking systems, they’re also child friendly with finger cushioning gaskets and a unique locking panel catch. 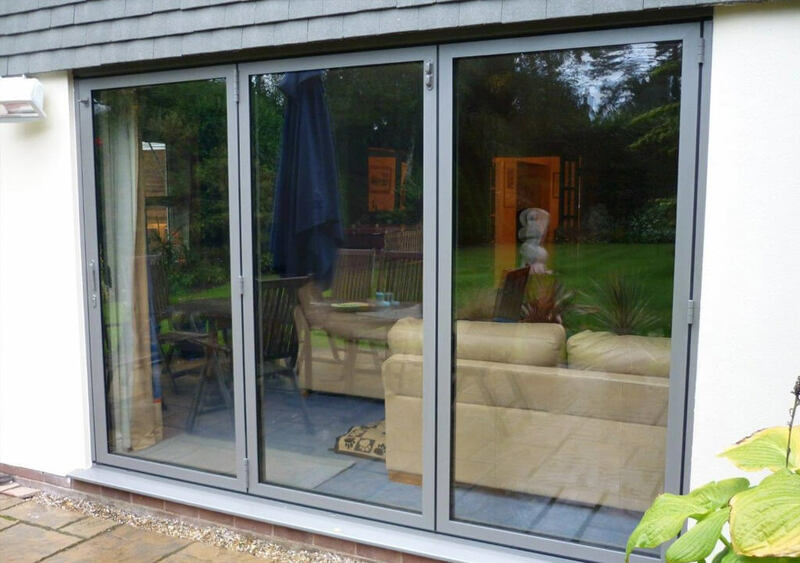 Certified and tested to ensure the ultimate in weather resistance technology, extreme weather tight tracks for exposed locations are available. Furthermore, there’s a choice of thresholds with a flush track for a virtually seamless connection between the inside and the outside. This highly efficient and versatile bifold door system can be further enhanced with additional sill sections in varying projections, maximising your opening with panel widths up to 1,200mm and heights of up to 3,500mm.